Light-dependent reactions use light and water to produce the chemicals ATP and NAPDH during the first stage of photosynthesis. 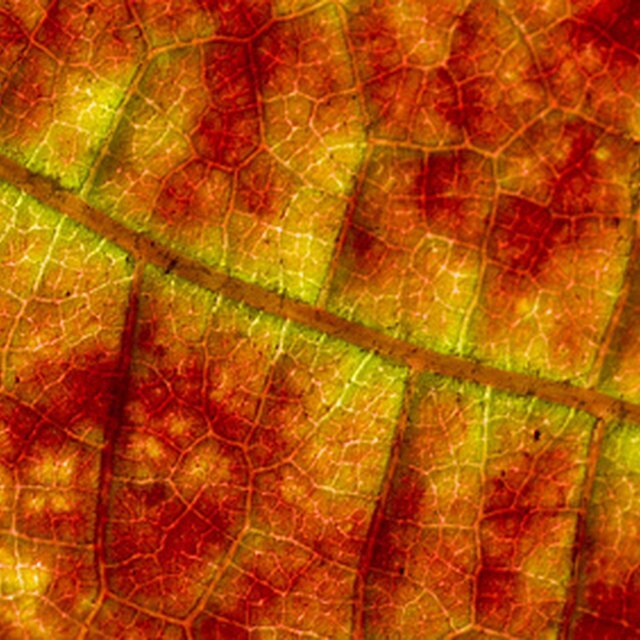 Light falling on plant leaves is absorbed by dyes such as chlorophyll and used to separate water into hydrogen and oxygen. The oxygen is released by the plant, and the hydrogen atoms are used to change precursor chemicals into ATP and NADPH. In this way plants change light energy from the sun into chemical energy that they can use for their biological processes. Light-dependent reactions change light energy to chemical energy in the first stage of photosynthesis. The reactions create ATP and NAPDH from precursor chemicals and water using energy captured from light by dyes such as chlorophyll. Subsequent dark reactions can take place in the absence of light and are used by the plant to produce chemicals it can use in its biological processes, along with more of the precursor chemicals used in the light-dependent reactions. 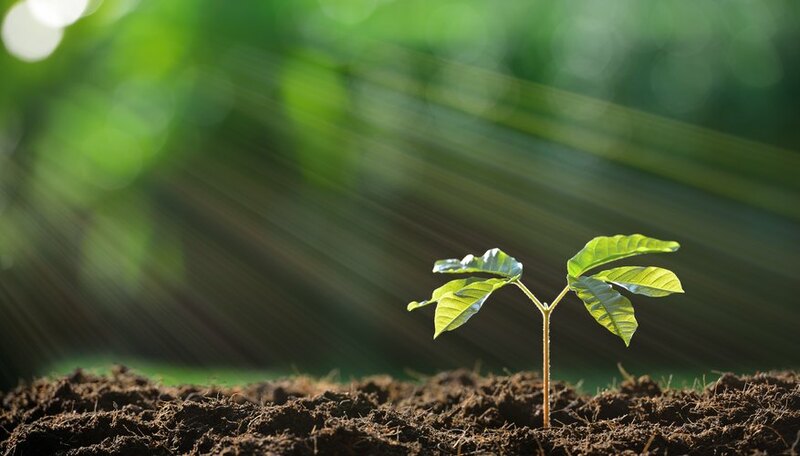 Photosynthesis is the process plants use to turn sunlight into chemical energy that then allows them to produce the chemicals they need to live. Overall the process converts carbon dioxide and water into carbohydrates and oxygen in the presence of light. The chemical formula for the reaction is 6CO2 + 6H2O + Light = (CH2O)6 + 6 O2, but there are many individual steps leading to the overall result. This photosynthesis process can be separated into two parts: the light-dependent reactions and the dark reactions. In the light-dependent reactions, the plant cells absorb light energy and use it to split water molecules. The hydrogen atoms of the water molecules are used in a chemical reaction while the oxygen is released as a gas. The second part of the photosynthesis reactions are called the dark reactions or light-independent reactions because they don't need light to proceed. In plant cells, they mainly take place during the day because they work together with the light-dependent reactions, using their reaction products as reactants to make carbohydrates as food for the plant. The reactants in the light-dependent chemical reaction are adenosine diphosphate (ADP), oxydized nicotinamide adenine dinucleotide phosphate (NADP+) and the hydrogen in water. The energy of the absorbed light transfers hydrogen ions and electrons to NADP+, changing it to nicotinamide adenine dinucleotide phosphate (NADPH). At the same time a phosphate group is added to ADP to form adenosine triphosphate (ATP). The two new chemicals that are the products of this reaction store the light energy as chemical energy. The first part of the photosynthesis process takes place near the thylakoid membranes of the plant cell's chloroplasts. Chlorophyll is located in the thylakoid sacs, and the NAPD+ molecules pick up their hydrogen ions and electrons at the membranes. The chloroplasts themselves are distributed throughout the plant leaves, with several in each plant cell. The dark reactions use the NADPH and ATP chemicals created during the first part of photosynthesis to produce the carbohydrate end products of photosynthesis. In the stroma of the plant cells, the NADPH and ATP chemicals fixate carbon dioxide from the air to produce a sugar that can act as food for the plant. The carbon dioxide provides the carbon atoms required for the production of the carbohydrates, and the reaction changes the NADPH and ATP molecules back to NADP+ and ADP so they can again take part in new light-dependent reactions. While the dark reactions don't need light, they do need the continuous supply of NADPH and ATP from the light-dependent reactions. As a result, dark reactions only take place when light is present and the light-dependent reactions are active. Both together are the source of the biochemical energy that other plants and animals use to survive. Markgraf, Bert. "What Are Light Dependent Reactions?" Sciencing, https://sciencing.com/what-are-light-dependent-reactions-13712136.html. 13 May 2018.